If you were like me you were lucky to be able to see Hamilton live. I loved the music so much that I wanted to share the experience with my students. 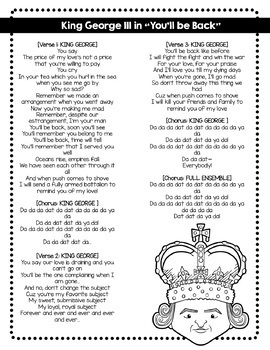 I use the songs as well as other sources including their social studies textbooks and Newsela articles as well as these songs and the book George vs. George: The American Revolution As Seen from Both Sides by Rosalyn Schanzer for them to conduct a mini research project on. 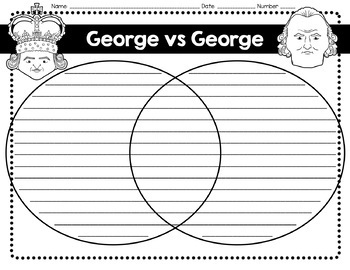 Two types of graphic organizers are listed for you to have them use before they complete a venn diagram comparing the two. 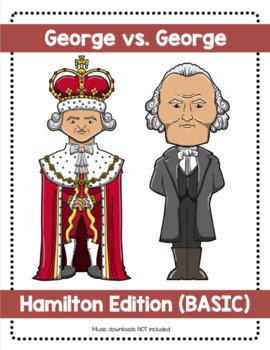 Understand how political, religious, and economic ideas and interests brought about the Revolution (e.g., resistance to imperial policy, the Stamp Act, the Townshend Acts, taxes on tea, Coercive Acts). Know the significance of the first and second Continental Congresses and of the Committees of Correspondence. Understand the people and events associated with the drafting and signing of the Declaration of Independence and the document’s significance, including the key political concepts it embodies, the origins of those concepts, and its role in severing ties with Great Britain. 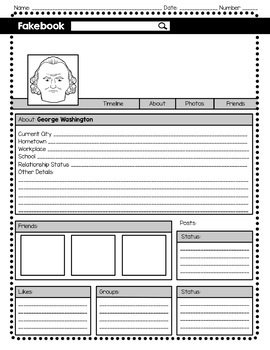 Describe the views, lives, and impact of key individuals during this period (e.g., King George III, Patrick Henry, Thomas Jefferson, George Washington, Benjamin Franklin, John Adams).